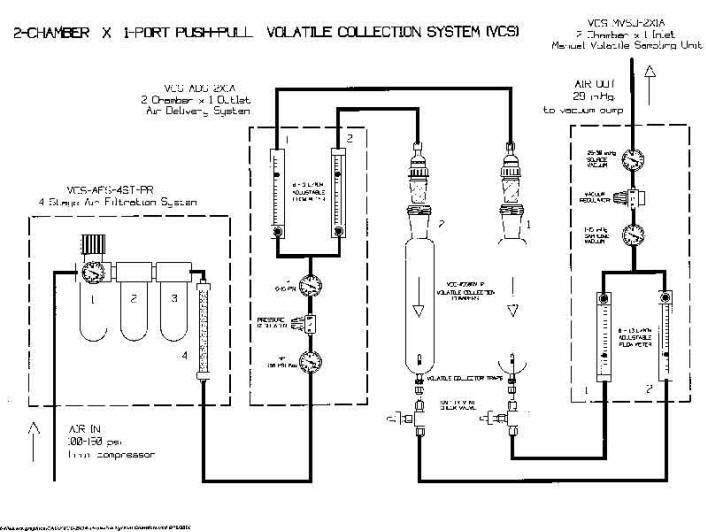 ARS, Inc. was the first, and is still the only company in the world that is solely dedicated to the development and production of Volatile Collection Chambers (VCCs), Air Delivery Systems (ADS) and Volatile Collection Systems (VCS) specifically designed for the collection of volatile organic compounds (VOCs) and semiochemicals from plants and insects. ARS manufactures a wide range of VCCs for just about any size job. Each chamber is designed and built for a specific application. 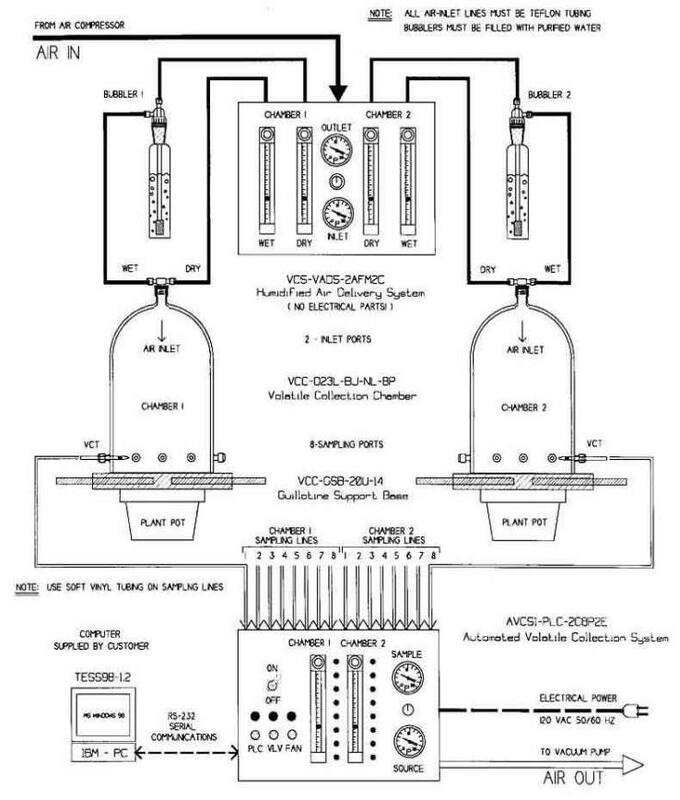 We have many well proven standard configurations that fit the majority of applications; however, be assured that ARS is here to support your research goals, and in doing so, we will customize if necessary, any chamber to meet your specific needs if they do not fit into one of our standard products. Standard chambers vary in sizes from 50 ml to over 200 Liters in volume (and much larger if needed). Many combinations of height & diameter ratios are possible to best fit your specimen to one of our chambers. We can put any number of inlet and outlet ports of any size on any of our chambers. 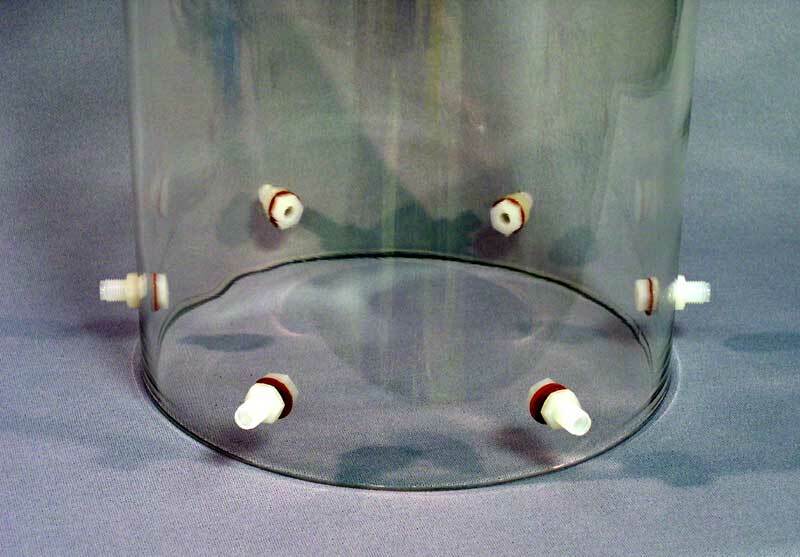 Unique to all of our chambers is a large removable lid or large open base to allow for easy cleaning of all surfaces, and more importantly, the easy placement of specimens into the chamber for testing. 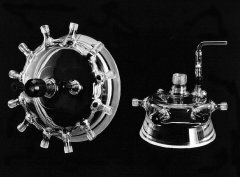 All or our chambers and components are made from chemically inert materials (to VOCs) such as borosilicate glass (Pyrex®), TEFLON®, Stainless Steel or Aluminum.